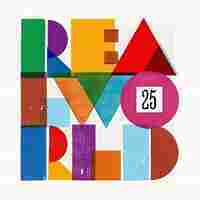 Best Global Music Of 2014 There is so, so much good music being made all around the world — stunningly beautiful, deeply thought-provoking and powered by great beats. Here are 10 of our top picks for 2014. Stromae's Racine Carrée (Square Root) is one of NPR Music's picks for our favorite international releases of 2014. So, so much stunningly beautiful music, with amazing insights and great beats, is being made all around the globe. There are songs to dance wildly to and albums to crawl inside of. 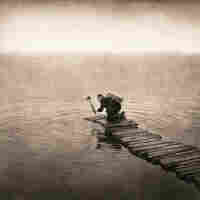 This music takes you outside your own surroundings and gives you a different perspective. And only a tiny portion of it — even the very best produced each year — gets the attention of American audiences. That's my starting point for making this annual list of 10 must-listen albums, as problematic as the term "world music" continues to be. Here's what I have to say: All music is "world" music. All music is rooted in a particular time and place, and in some culture or other. But if using the category of "world music," or "global music" or "international music" allows some tiny portion of stunningly good projects to get onto the radar of American music fans, then that's reason enough to put these wildly diverse, joyfully gorgeous albums together. And believe me: There's more where these came from. Bracing, mesmerizing and innovative videos made him a worldwide star, but Belgium's Paul Van Haver, a.k.a. 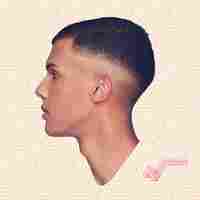 Stromae, hits it on all cylinders on his second full-length album (in English, Square Root), which was already a huge hit in Europe before it was released this February in the U.S.
Mixing tight beats with an oh-so-slightly languid, behind-the-beat vocal delivery, Stromae strides from track to track — and style to style — with wit, humor and grace to spare. 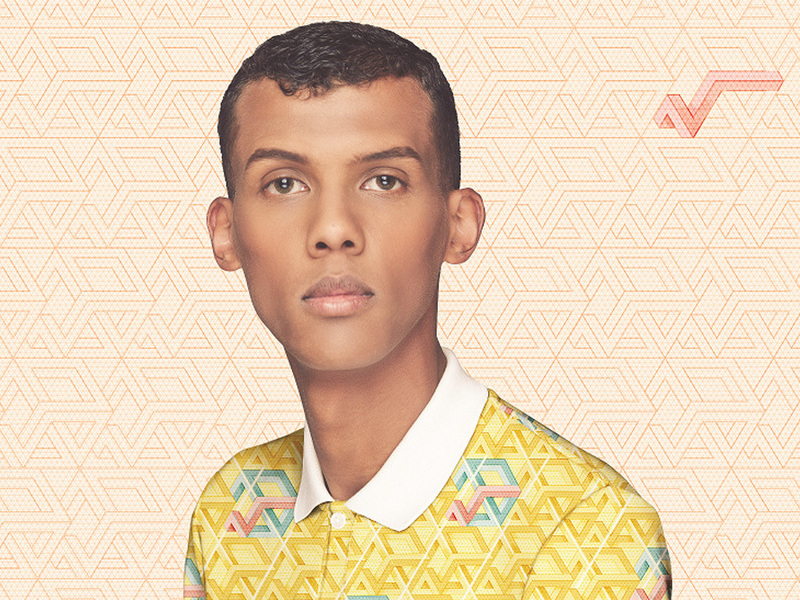 From the wordplay of his biggest hit, the EDM-soaked "Papaoutai" (Papa, où-t'es? – Dad, where are you? ), the drunken break-up ballad "Formidable" (Wonderful), and the gender-bending dazzle of "Tous Les Mêmes" (All The Same), Racine Carrée is a perfectly constructed confection glazed with pop sheen, but one with daunting brains and a melancholy heart. Many American musicians and fans have come to appreciate the deep West African roots of the blues, but very few music lineages can come anywhere close to that of these father-and-son griot artists from Mali. They both play a magical and totally mesmerizing 21-string, plucked, bridged harp instrument called the kora. Father Toumani has created an amazing array of globe-spanning projects, including albums with Taj Mahal and free jazz trombonist Roswell Rudd as well as a collaboration with Björk. But he is also the carrier of an astounding tradition that stretches back, according to family lore, more than 70 generations. The enormous political troubles plaguing Mali over the last couple of years urged the elder artist toward creating a joyous, music- and life-affirming project with his 23-year-old son, Sidiki. Though Sidiki also has a burgeoning career as a hip-hop producer, he's also a profoundly gifted kora player — and this duet album is full of exquisitely filigreed interplay between their generations. 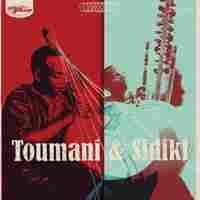 There are sonic surprises on this nearly eponymous album, too: Take for example the 100-year-old melody from Gambia, "Hamadoun Toure," which sounds as if it could have been written this year. The lesson is that ancient, unamplified music can be just as fresh, exciting and of the now as something written last week. 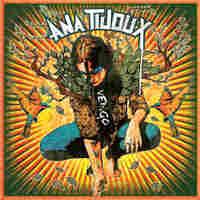 I usually defer to my most excellent colegas at Alt.Latino when it comes to Latin sounds (and their 2014 year-end picks are not to be missed), but I feel a strong need to cosign on their love for the latest release from French-born Chilean rapper and singer Ana Tijoux. There are so many strong and musically fresh-textured tracks on this biting and politically conscious album, amplified by Tijoux' strong and clear voice. 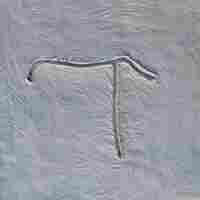 The title song is certainly among them, as is the feminist anthem "Antipatriarca." They're all infused with what Tijoux calls, in one lyric, "alegre rebeldía" — joyful rebellion. The song I keep turning to most is the irrepressible, bouncing "Somos Sur" (We Are South), featuring the heated growls of British-born Palestinian rapper Shadia Mansour, who also knows her fair share about traversing and subverting cultural identity. "Soñamos en grande, gritamos algo. No queda más remedio," Tijoux raps. "We dream big, we shout something. We have no other choice." Tiny Desk Concert fans may already know French cellist Vincent Segal's beguiling talents from his collaboration with Malian kora virtuoso Ballaké Sissoko. In their intimate duets, they created a complete universe of sound and feeling. 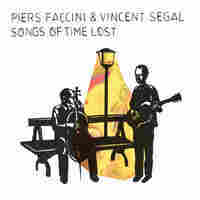 This is another duo project for Segal, this time made with English singer, songwriter and painter Piers Faccini. The source material ranges farther — from Neapolitan folk songs to a Mississippi John Hurt cover ("Make Me a Pallet on Your Floor") to a take on a famous Marlene Dietrich song. Whiplash-inducing? It easily could be, except that Faccini and Segal are so artful in drawing you in deep with just a quiet voice and equally gentle cello. The results are perfection — and your soundtrack for a snowy winter evening. Moroccan musician Hassan Hakmoun started out flying high and fast in his international career. Not long after moving from his native Marrakesh to New York in 1987, he found kindred spirits in some incredible musicians, including friend Miles Davis and collaborators like trumpeter Don Cherry and singer Peter Gabriel (for whom he also went on to record for the Real World label). 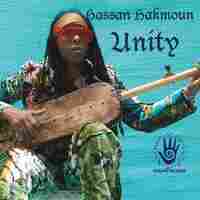 Hakmoun made a string of interesting but occasionally unfocused fusion recordings in the 1990s — but somehow, until this spring's release of Unity, twelve years had passed since his last album (The Gift) was issued. In that long absence, Hakmoun has perfected a singular and organic fusion of all the music he loves, overlaying elements of jazz, funk and rock to his Gnawan roots, which he expresses through vigorous polyrhythms and the hoarse cries of both his voice and his sintir. For fans, it's been a really long wait, but the results are worth it. Bands are too often hyped as supergroups, but The Gloaming is the real deal — and one that breaks free of the traditional boundaries of their genre. Featuring an unusual lineup of singer, two fiddles, guitar and piano, The Gloaming is by any measure an all-star ensemble of Irish music. It includes three Irish artists: the superb singer Iarla Ó Lionaird (who grew up as a traditional sean-nós vocalist but is also a veteran of the experimental Afro-Celt Sound System), the legendary fiddler Martin Hayes and the younger player Caoimhín Ó Raghallaigh, who plays a 10-stringed violin that he calls a hardanger d'amore, with its five playing strings and five drone-like sympathetic strings. The band is rounded out by two Americans, the masterly guitarist Dennis Cahill and, perhaps surprisingly, pianist Thomas Bartlett (a.k.a. Doveman), better known as a colleague of Antony and the Johnsons, The National, Nico Muhly and Sam Amidon. This is an album full of deeply felt, wonderfully empathetic performances rooted in tradition but scoured of sentimentality. The traditional idioms of reels and jigs emerge here and there, but The Gloaming brings in harmonies, melodic ideas and textures that darken and expand far beyond "traditional Irish music." In short, this is the rare album that might well transform the syntax of a whole style. Once upon a time — that is, a little more than a decade ago — Saharan rock was a very rare-blooming flower on stages outside of countries like Mali, Niger and Mauritania. Since then, the region's rolling grooves and rhythmic grit have become very familiar to indie rock fans after the enormous worldwide success of acts like Tinariwen and Bombino. Pilgrims including folks like Robert Plant and Bono (and I) voyaged to the now-exiled Festival in the Desert, in northern Mali, to see fantastic nomadic groups hit the stage one after the other. 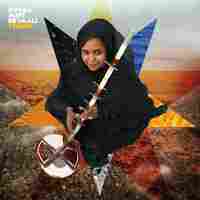 But the arrival of Mauritanian vocalist Noura Mint Seymali in front of Western audiences feels like the start of a new era. She's blessed with a powerhouse voice and a regal stage presence, so much so that Jerry Wexler's description of Aretha Franklin as an "ecstatic hierophant" springs to mind. It's not just Seymali's supercharged voice that makes Tzenni special. She and her husband, the very talented guitarist Jeiche Ould Chighaly, and the rest of their band have created a unique and utterly intoxicating sound for their first internationally released full-length album. It's psychedelic for sure, with Seymali and Chighaly spinning out helixes of melodies that swoop around and around, but at the same time the songs are heavily rooted in rhythms provided by West African harp, lute and percussion as well as bass guitar and drums. Brimming with crackle and verve, Tzenni rocks along in a fantastic marriage of desert grit and otherworldly haze. Here's the thoroughly unlikely premise for this completely inspired project: Jim White, the Australian drummer from the heavy-going Dirty Three and sideman for Nick Cave, Bonnie "Prince" Billy and Cat Power, among others, pairs up with Yiorgos Xylouris (that's George ksee-LOO-rees, for all you non-Hellenes), who's a master of the Cretan lute called a lauto and member of one of Greece's premier musical clans. Some of the tracks on their first album together are lush, dreamy and slow to unwind, such as "The Bells" and "Wind." Others are filled with fantastical and otherworldly harmonic textures, like "Suburb" and "Fandomas" (Phantom), which is also the only song on the album with lyrics. The most exquisitely melacholy is "Psarandonis Syrto" — Psarandonis is the name of Xylouris' father, a very famous musician in his own right, and a syrto is one of Greece's most popular folk dances. But the hardest-kicking track is "Old School Sousta." Their version brings the sousta, which traces its roots to an ancient martial dance, but over time became a flirtatious courtship folk dance, right back to its origins — bass-heavy, forceful and snarling. A Long Way to the Beginning, the latest album from Fela's youngest son, is the mark of Seun Kuti really hitting his stride. 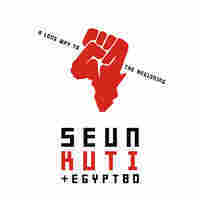 With this project co-produced by pianist and composer Robert Glasper (who also appears on several tracks), Kuti is backed by the fire-and-funk, Afrobeat sounds of Egypt 80 — the band founded by his father. And guests including M1 of Dead Prez, Ghanaian-American rapper Blitz the Ambassador and German-Nigerian singer Nneka drop by. Seun Kuti has matured into a first-rate saxophonist, and his words hit hard on financial corruption, racism and political vice, not just in his native Nigeria, but wherever he sees them festering globally. What could be more vivid, vibrant and on-point right now? This is a 3-CD compilation, not a new release. But in an era in which there is constant conversation about whether or not we can move past the sobriquet of "world music" altogether, it's particularly great to note the 25th anniversary of the founding of Peter Gabriel's internationally focused label. There were world music labels that issued significant work well before Real World came into being, and certainly more that have come in its stead. But part of what made Real World so groundbreaking was that it was the first label to promote artists as individuals — as stars, really — to British and American audiences, rather than as nearly nameless and almost always faceless representatives of distant, Other cultures. This anniversary-inspired retrospective was curated rather idiosyncratically — one disc is comprised of best-known tracks, one of deep-vault material and the last was selected by fans. But it serves as an excellent reminder of how much our perceptions of "world music" have changed over the past quarter century, and how truly instrumental Real World was in that evolution.